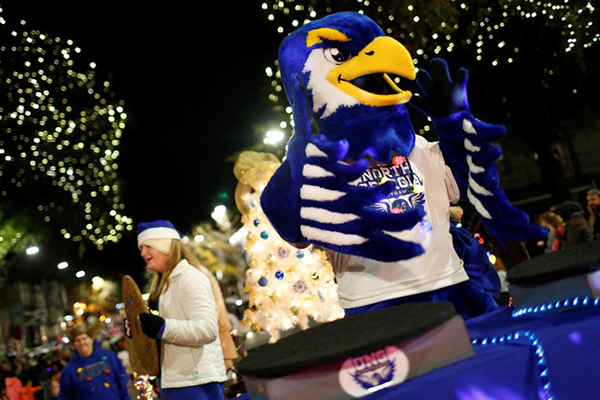 University of North Georgia's Oconee Campus float in the Watkinsville Christmas parade featured a UNG dance party with Nigel the Nighthawk as DJ complete with turntables and headphones. In its Christmas parade debut, University of North Georgia's (UNG) Oconee Campus won the best use of a theme in Watkinsville, Georgia, event. 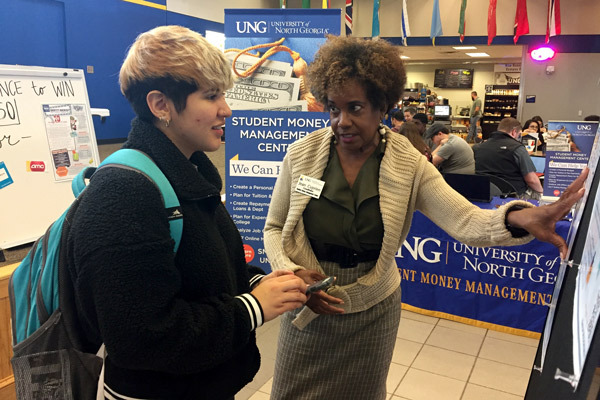 The theme was "Do you Hear What I Hear" and Oconee Campus crafted "Do you hear what I hear … about UNG." 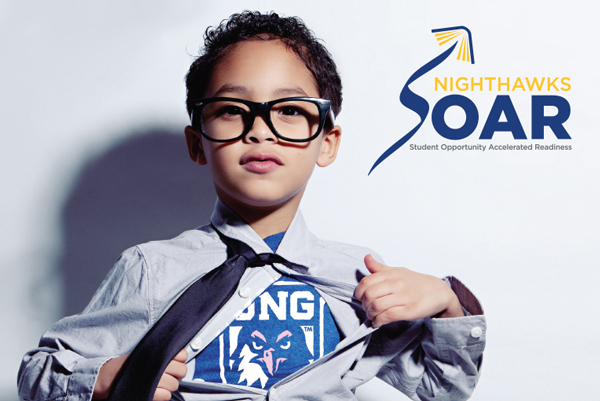 UNG's float featured a UNG dance party with Nigel the Nighthawk as DJ complete with turntables and headphones. 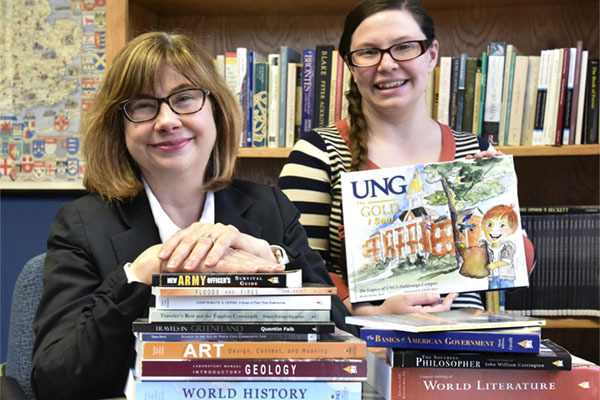 Riders held gold records with UNG's core values: service, student focus, engagement, integrity, and excellence. UNG also entered the Athens, Georgia, nighttime Christmas parade, marking the first time the school entered either event. 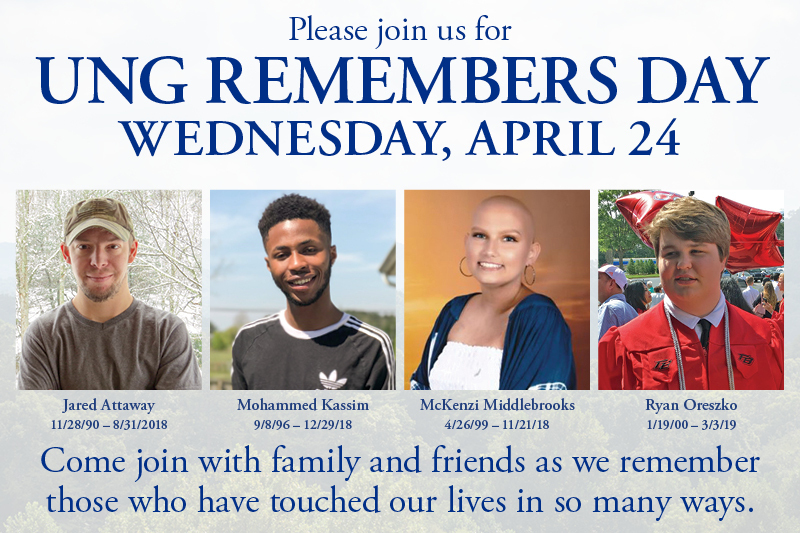 "At both parades, we had people call from the crowd that they were alumni or they had a relative who attended," said Dr. Cyndee Moore, executive director of UNG's Oconee Campus. "It was just so much fun!"